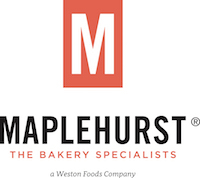 Maplehurst Bakeries is headquartered in Brownsburg, Indiana - home of the industry’s premier, high-tech, frozen Donut manufacturing facility. Maplehurst operates state of the art facilities in Indiana, Georgia, Missouri, Nebraska and Washington State while serving the Industry with a World Class frozen Distribution Network. Our key product offering includes: Cakes, Donuts, Cookies, Bagels, Rolls, Breads, Pies, Danish, Cinnamon Rolls, and Crackers. Service and maintain all plant equipment in a timely and efficient manner. Provide technical support to production operators throughout the plant. Typical tasks performed: Completes work from blueprints, drawings, other written specifications and/or oral instructions. Selects materials, equipment and tools to be used. Uses hand and/or portable power tools. Sets up and operates a limited range of shop equipment and machines of each trade, working to close tolerances and uses appropriate standard and specialized measuring and testing instruments. May be required to perform "other tasks" as necessary. Follow and adhere to Lock – Out / Tag – Out procedures at all times. Writing special or new Part Request. Familiarization with searching parts in the PMC system. Must be able to write and make statues changes to Work Orders in the system. Must know how to issue parts out of inventory. Must insure the parts used are issued to the equipment in which they were used. Must ensure safe work practices at all times. Electrical Work – Maintains electrical lines, circuits, systems, and associated fixtures, controls, and equipment. Pipefitting - Modifies and repairs piping systems and equipment such as vacuum and plant compressed air systems. Sheet Metal Work - Forms, joins, assembles and installs conduits, chutes, guarding and other items and systems that have combined straight and curved edges or irregular curves and planes. Machining - Repairs and rebuilds items from raw stock of different metals, metal alloys and other materials, such as stainless steel alloys, aluminum, rubber, plastics and nylon, through the use of hand and conventional machine tools. Welding - Welds all types of commonly used metals and alloys of various sizes, shapes and thickness, including dissimilar metals such as copper to steel. Production Machinery Repair - Maintains numerous types of fixed and semi-fixed production machinery such as standard and plc controlled equipment such as that used for manufacturing in a food processing facility. Capable of working at heights in excess of 25 ft. Administrative Skills: Ability to perform basic navigation, data entry and data retrieval using various programs on a PC running Microsoft Windows. Programs include (but are not limited to) MS Excel, MS Word, MS Internet Explorer and DPSI PMC. Mathematical Skills: Ability to add, subtract, multiply and divide in all units of measure, using whole numbers, common fractions and decimals. Familiar with English and Metric units of measure and conversion between the two systems. Reasoning Skills: Ability to solve practical problems and deal with a variety of variables in situations where only limited standardization exists. Able to interpret a variety of instructions furnished in writing, oral, diagram or schedule form.